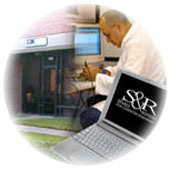 HARDWARE REPAIR: S&R Resources, Inc.
S&R takes to the air! S&R now provides repair services for digital TV and radio broadcast equipment. S&R now offers BGA chip replacement service. At S&R Resources, our customers get the best turnaround at the best price – every time! Contact us to learn how you can too.